Entertainment TV Channel / ZDFneo is a German digital terrestrial television channel, programmed for an audience aged 18 to 45 to counter the primarily older-skewing main channels of public broadcasters ZDF and ARD. It replaced ZDF's documentary channel, "ZDFdokukanal", on November 1, 2009. 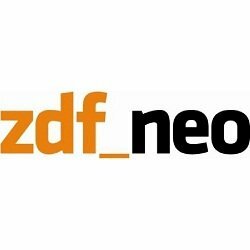 Although the channel's logo reads "zdf_neo", ZDF refers to the channel as "ZDFneo" in all written text. ZDFneo is broadcast (along with the rest of ZDFvision) via DVB-T digital terrestrial television, receivable in most areas of Germany. It is also transmitted in DVB-C through German cable networks, and in DVB-S from the Astra 1H satellite. ZDFneo's broadcasts mostly consists of comedy and drama series produced in-house. Shows imported from America and the United Kingdom plus a few documentaries, music shows, and movies round out the schedule.